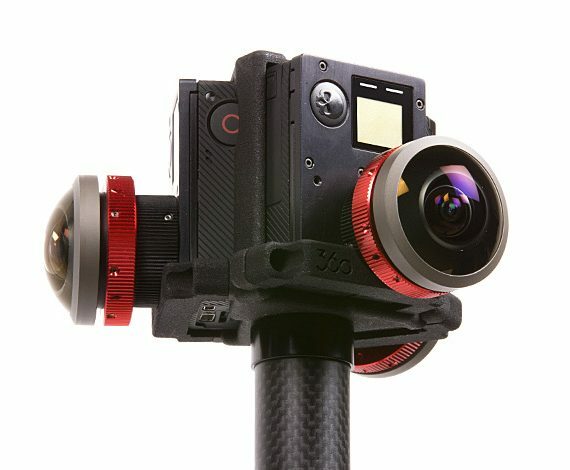 Cameras, lenses, tripod and other accessories are not included with this product. 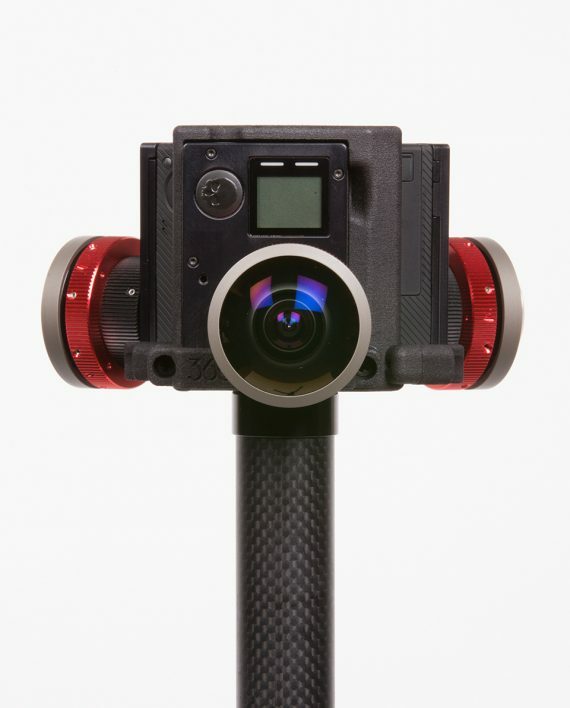 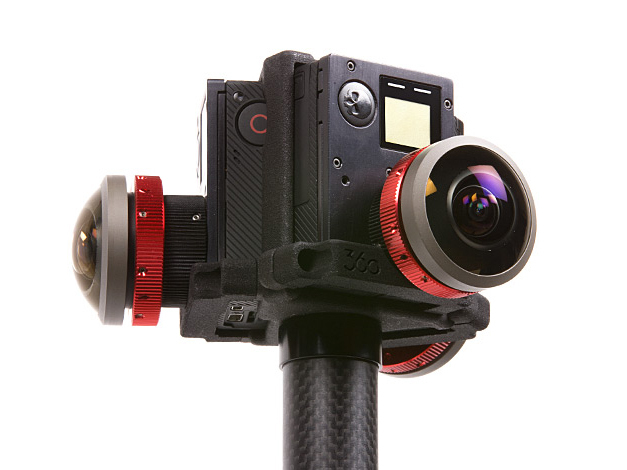 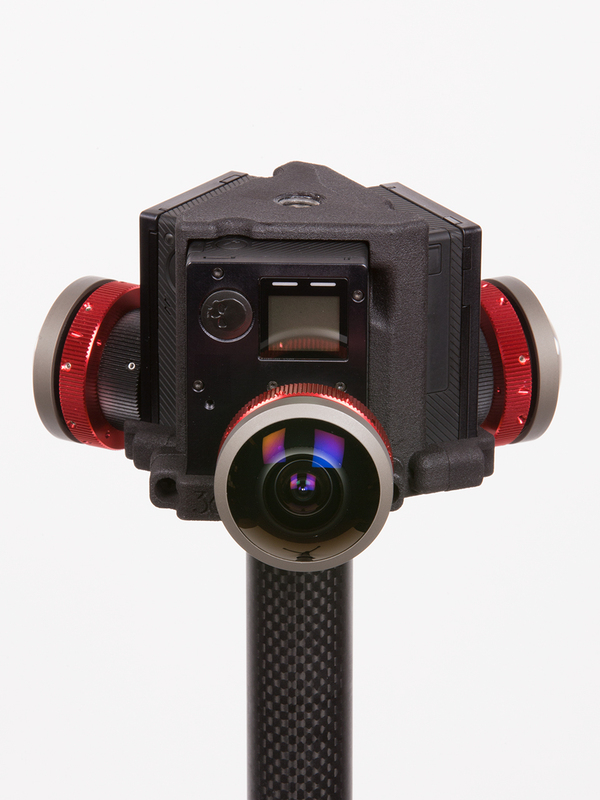 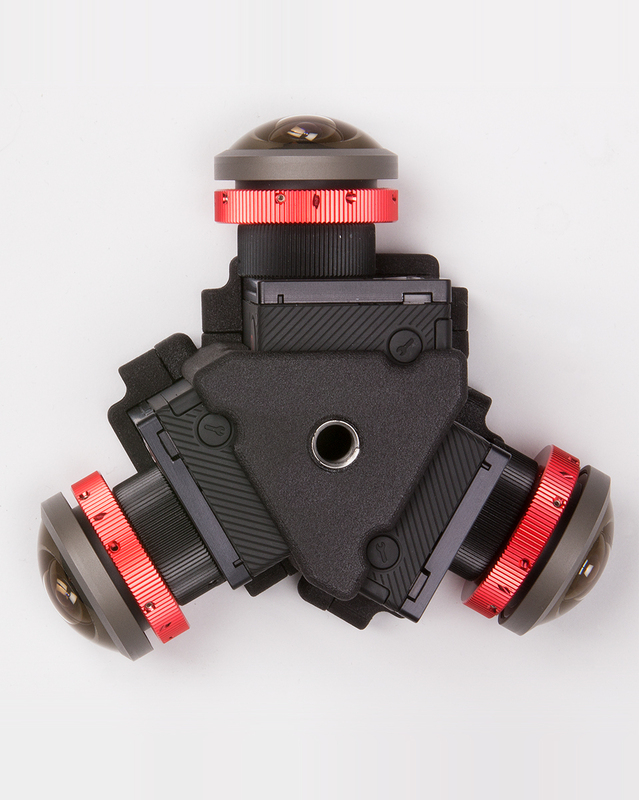 The Freedom360 Trio mount captures 360×180 video using 3 modified GoPro cameras with lenses of at least 180° FOV. 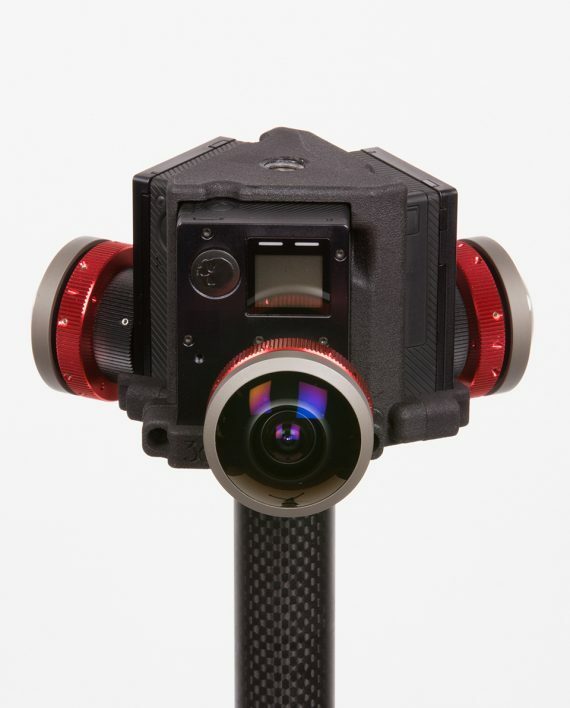 All USB ports are accessible for external powering, HDMI ports are accessible for frame grabbing, and SD card slots are accessible to retrieve captured footage all without removing the cameras. 3/8″ -16 threading is found both on the top and bottom increasing versatility.